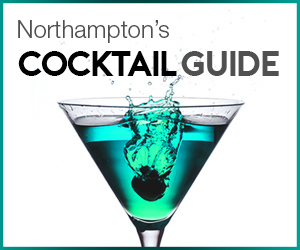 As we have professed many times gents, Northamptonshire is not short on unsung heroes who busily work away creating some of the best food, drink and products the world has seen. Supporting these local producers could not be more important and so we search high and low looking for those remarkable individuals. 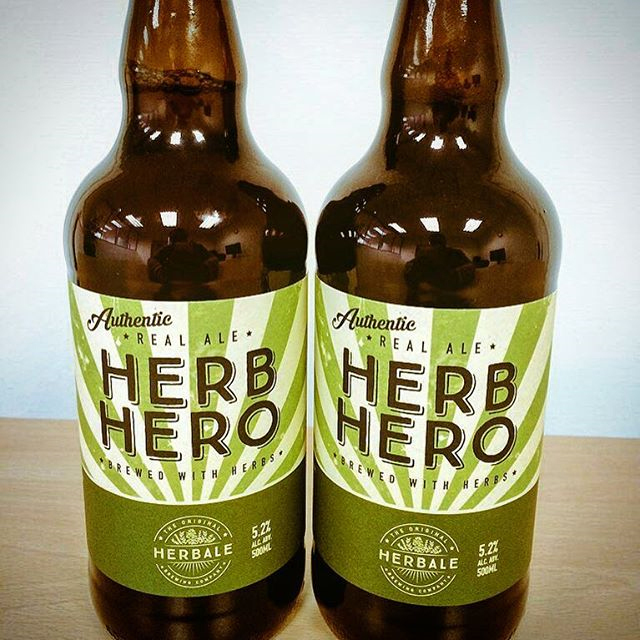 One new brewer on the scene that perfectly fits the bill is The Original HerbAle Brewing Company and there rather special new herb ale, Herb Hero. Before we begin, prepare yourself for some serious beer knowledge. 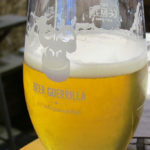 Firstly, it is important to understand the distinction between beer and ale. You see, beers can be ales, but not all ales can be beer. The terms are not synonymous. Historically, beer became known as ‘beer’ because it was an ale made with hops, however that is not the only thing ale can be made with. This is where The Original HerbAle Brewing Company steps in. Now before you fire up the email to gleefully tell us about our typo, let us assure you that HerbAle is spelled correct. 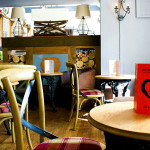 The name is a play on words for what the brewer specialises in; herbal ales. The brainchild of James Gouldsmith, The Original HerbAle Company began after James tragically lost his two beloved dogs in quick succession and decided to hold a wake in their memory. James decided to turn this tragedy on its head and to knock up a special brew for the occasion after stumbling across an old recipe which replaced hops with herbs. James’ herb ale is made in exactly the same way as hopped beer. For those of you who assumed, like us, that beer simply fell from Mount Olympus, we have some shocking information. It is actually made by malted barley being steeped in hot water in a mash tun to release the sugars. This sugary liquor is then boiled with hops or in this case herbs which is known as the Wort. The Wort is cooled and yeast added, then fermentation takes places over a few days. 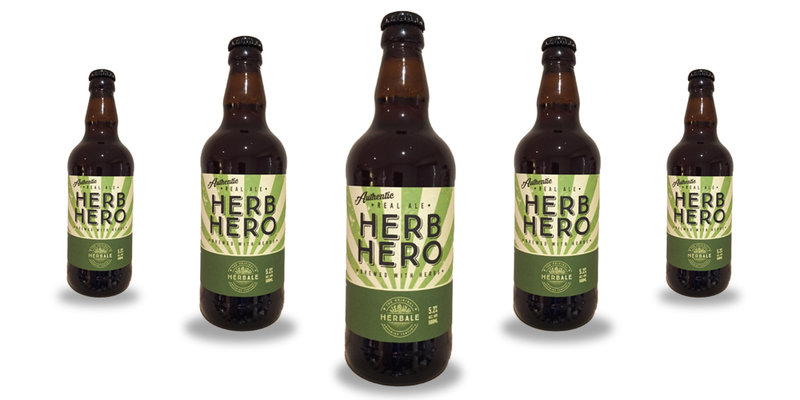 The ale is transferred to bottles, casks or kegs, finally ready for gents to enjoy – in the case of Herb Hero, the ale is transferred to bottles for a secondary fermentation to take place, which is known as bottle conditioning. So there you have it, the shocking truth that ale does not fall from the heavens. Through James’ unique use of herbs and his production process, he has crafted something rather special. So the most important question is, what does it taste like? First things first, abandon your preconceived notions of what beer and ale tastes like. We can honestly say that Herb Hero is truly different from any other beverage we have had in the past. The first thing to hit you when you open the bottle is the scent. Very aromatic, the ale is a dark amber and slightly carbonated thanks to the conditioning. Yarrow and rosemary are the primary herbs used in Herb Hero and the rosemary really does shine through when tasting. It takes a couple of sips for your taste buds to acclimatise to the unique and complex flavours involved, but once they have then you are in for a treat. Slightly savoury and with a hint of spice at the beginning then with a floral finish, it is certainly different to anything else you are likely to find behind the bar or on the shelves. So what does the future hold for The Original HerbAle Brewing Company? Speaking to James, he spoke about hopefully a tinned version making an appearance at festivals and about some new flavours; Cellini’s Gold – a golden, lemony pale ale for spring/summer – and the Dark Destroyer -a full bodied, creamy stout with roasted coffee and vanilla flavours. Both sound delicious but we are not at liberty to divulge the herb pro’s secret ingredients, so you will have to wait until their release to find out what interesting and creative herbs are involved. As well as expanding the core range, James also spoke about producing seasonal variations and special brews for events. This could prove particularly interesting with the endless amount of herbs to experiment with. The Original HerbAle Brewing Company are bringing something truly different to those fond of their ales. Complex and full of flavour, Herb Hero is a welcome addition to the beverage landscape of Northampton and will fit in well with the growing popularity of craft beers and ales. It can be found at a NG fave, the Princess Alexandra (read our full Princess Alexandra review here), One Stop DIY (Kingsley), Smiths Farm Shop (Chapel Brampton), Bosworths Garden Centre and the Deli and Wine Barn (heart of the shires). With some interesting and exciting flavours, foods and drinks on the way, we highly recommend keeping an eye on this innovative brewer for the future and giving the Herb Hero a go if you see it. Be a part of the taste revolution.